John Davies exhibitions on show 2014.
open Monday to Friday 8:30am-5:00pm Saturday 9:00-5:00pm. The £2 proft on each sale of this book is donated to the Save Sefton Park Meadows Campaign fund. 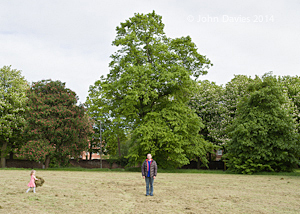 During May this year John Davies spent 90 minutes each day for 10 days in the public green space of the Meadows parkland. He asked a total of 112 adults if he could take their picture. 96 people agreed to have their portraits made to be included in an exhibition about the Meadows. This is an example of what is happening in local authorities throughout England: assets sold off and services cut to meet the requirements of central government’s austerity measures along with pressure to build housing on green space as a more profitable alternative to building on brown-field sites. Group exhibition curated by Jeremy Deller. 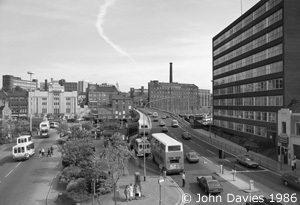 Including two large scale prints of Stockport from 1986. In 2001, John Davies approached Side Gallery about his interest in documenting the public spaces of Newcastle/Gateshead, then in the throes of an ambitious programme of culture-led renewal. 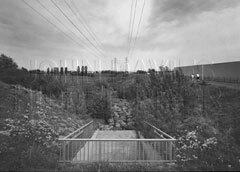 The Tyneside photographs came together as a body of work entitled Urban Dreams. 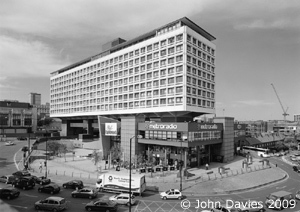 In 2008, Amber/Side’s collaboration with the Lit & Phil and the Mining Institute led to a commission to document the legacy in Newcastle and Gateshead of the 1960s, T Dan Smith era of urban reinvention: City State. Bringing both bodies of work together for the first time, the exhibition compares two periods of ambitious regeneration, shown in the context of current economics and the role of documentary/landscape photography in a critique of public policy. Side Gallery first showed John Davies's work in 1979 and also commissioned: Cumbrian Landscapes (1981), Durham Coalfield (1983), For Druridge (1983, with Isabella Jedrzejczyk) and Signs of Coal (2005). Davies decided to follow the course of the River Tiretaine nord from it's source near the Puy de Dôme through Clermont-Ferrand. 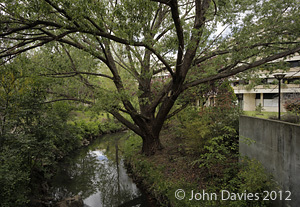 This series of photographs includes the Michelin headquarters, factory sites and where the river is often hidden underground or behind factory walls. This was an industrial river which Michelin enveloped from Clermont and then into Ferrand - effectively joining the two cities. This work is also a metaphor for the personal, social and political secrets we hide. 2012 / 2013 Residency project commissioned by Department of Culture for the City of Clermont-Ferrand, France.